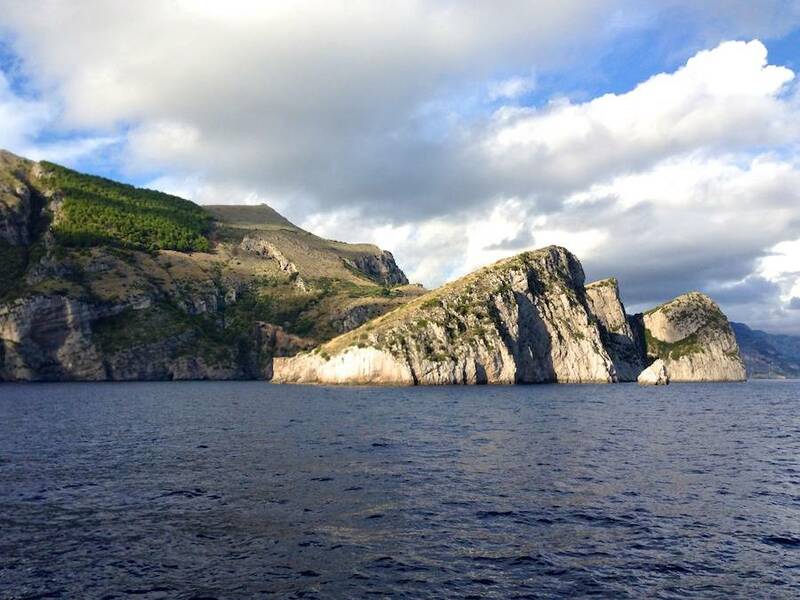 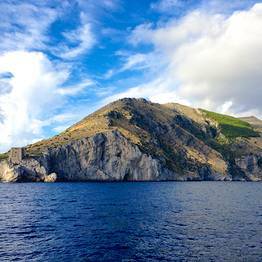 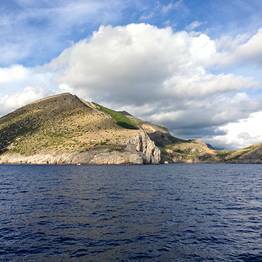 On the most extreme point of the Sorrentine Peninsula, home of the mythical Sirens. 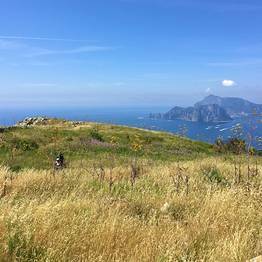 At the point where the Monti Latteri start to slope down towards the sea, Punta Campanella links the Sorrentine Peninsula with the Amalfi Coast. 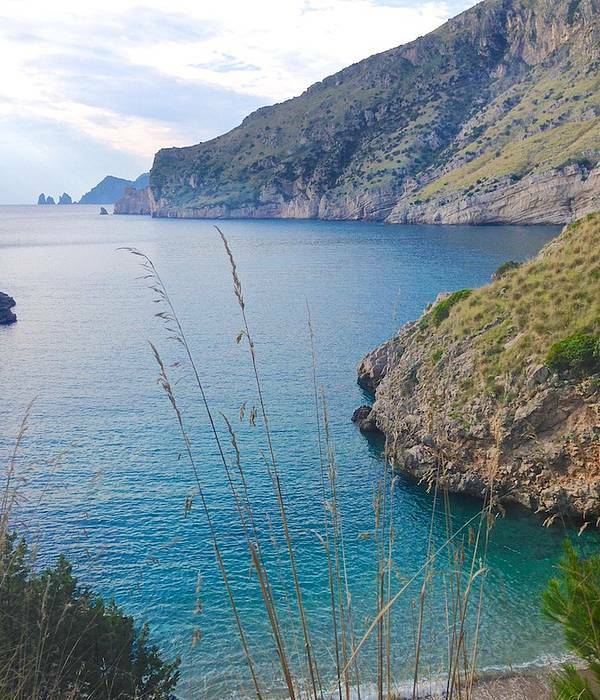 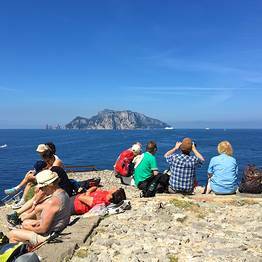 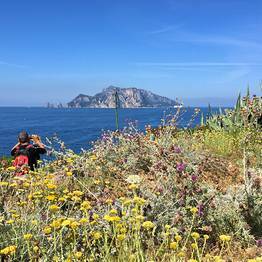 A land of myths and legends, this narrow strip of land stretches out to sea as if wishing to be reunited with the nearby island of Capri, from which it was separated many thousands of years ago. 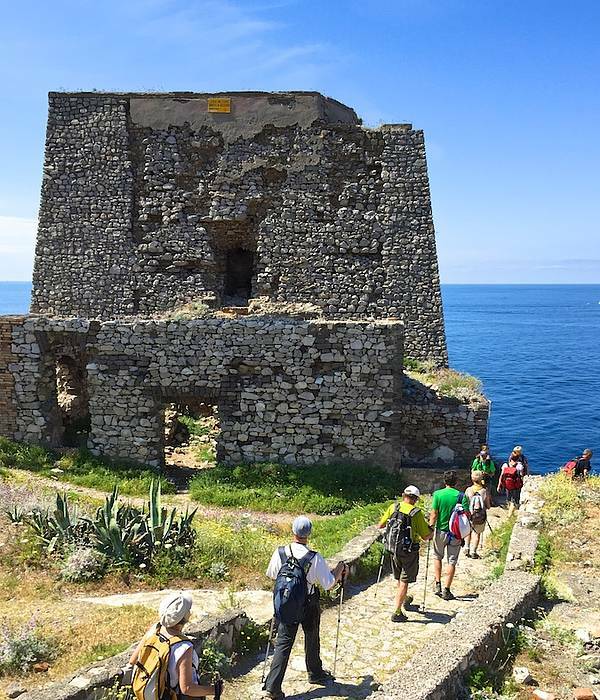 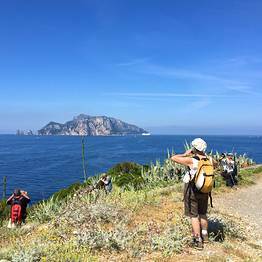 The path to Punta Campanella commences in the aptly named Termini, the last town on the Sorrentine Peninsula. 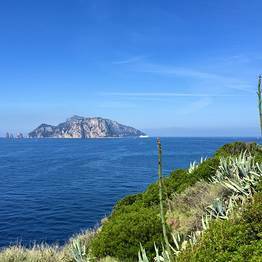 Buses to Termini depart from outside Sorrento railway station. 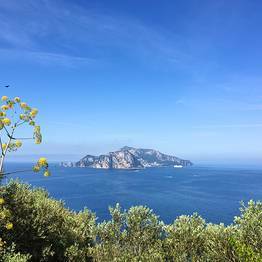 From Termini's small town square, facing the sea and the island of Capri, you'll find signs indicating the road to take to reach the path. 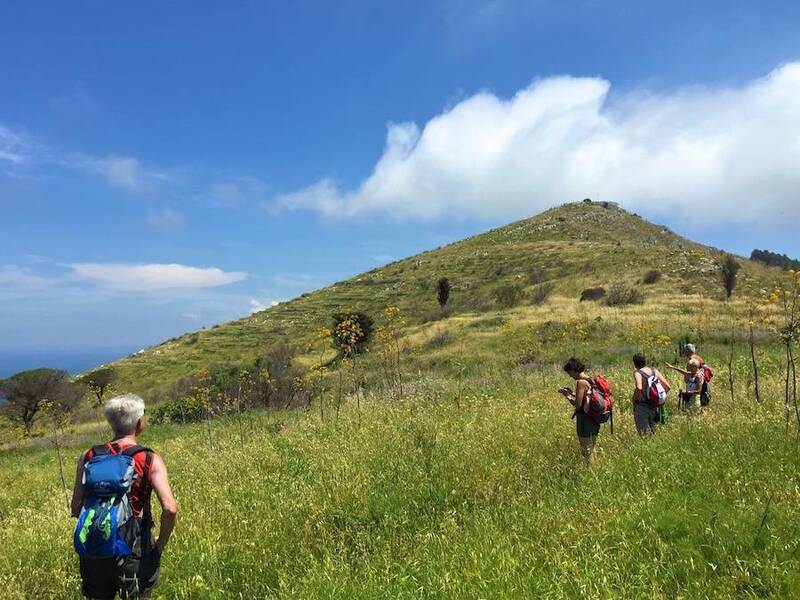 This easy route, passing over relatively flat terrain, has the sea to one side and small vegetable gardens and olive groves to the other. 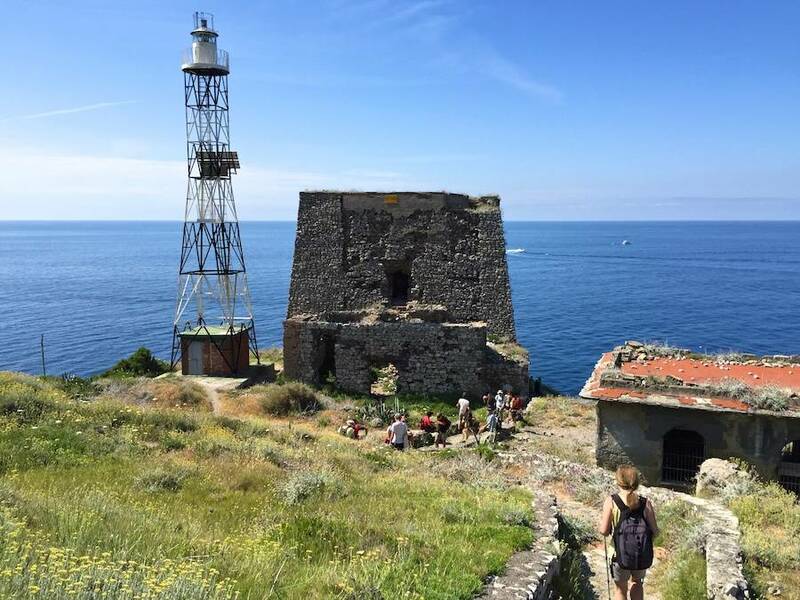 At a certain stage, the path divides into two, the higher path taking walkers along the ridge of the Monte San Costanzo, the lower path along the flat tongue of land which is Punta Campanella, to the Saracen Tower and the ruins of the Minerva Sanctuary. 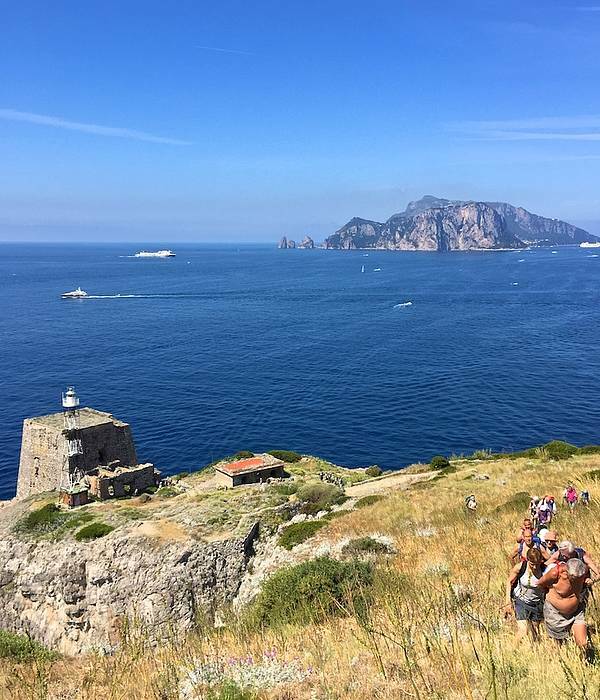 Punta Campanella is a land steeped in history and legends: according to the Odysseus it was here that Ulysses met the Sirens; the Greeks built a temple in honor of Athens on the site, a structure which the Romans later converted into a Sanctuary devoted to Minerva. 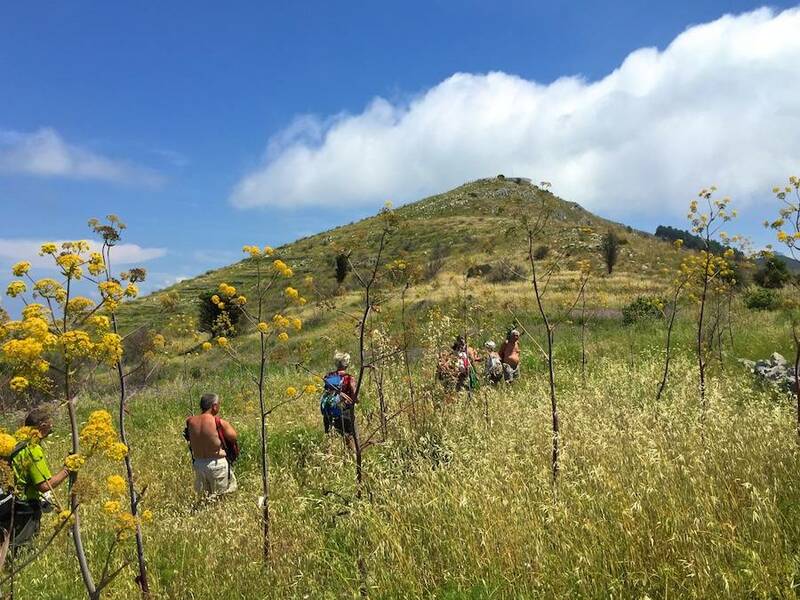 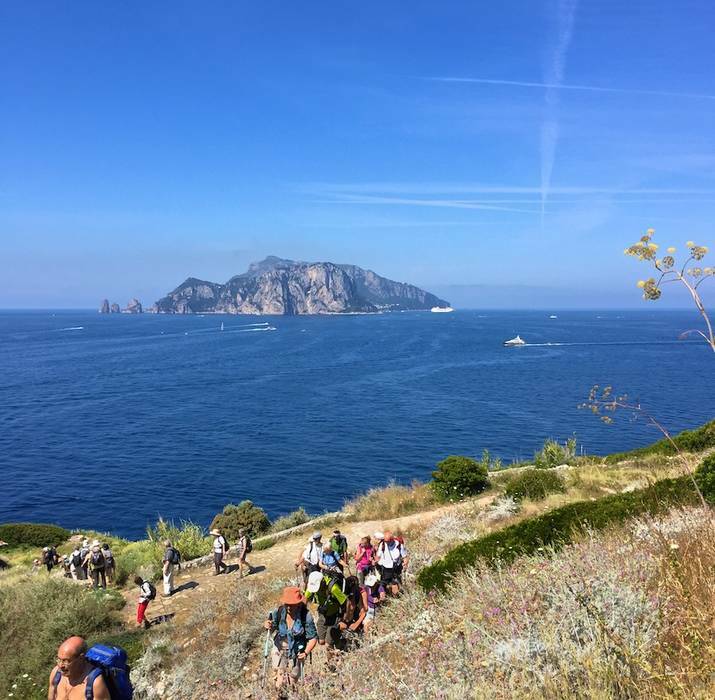 Experienced walkers happy to test their legs on tougher terrain, will want to extend the excursion and take the path to the summit of Monte San Costanzo. 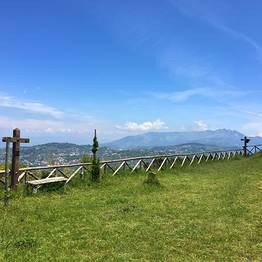 The red and white signs painted on the rocks (pathway 00, alta via dei Monti Lattari) indicate the path to the Chapel of San Costanzo, some 485 meters above sea level. 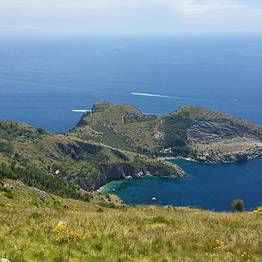 From here, a magnificent view, extending from the hills of Massa Lubrense to the Faito massif, can be seen. 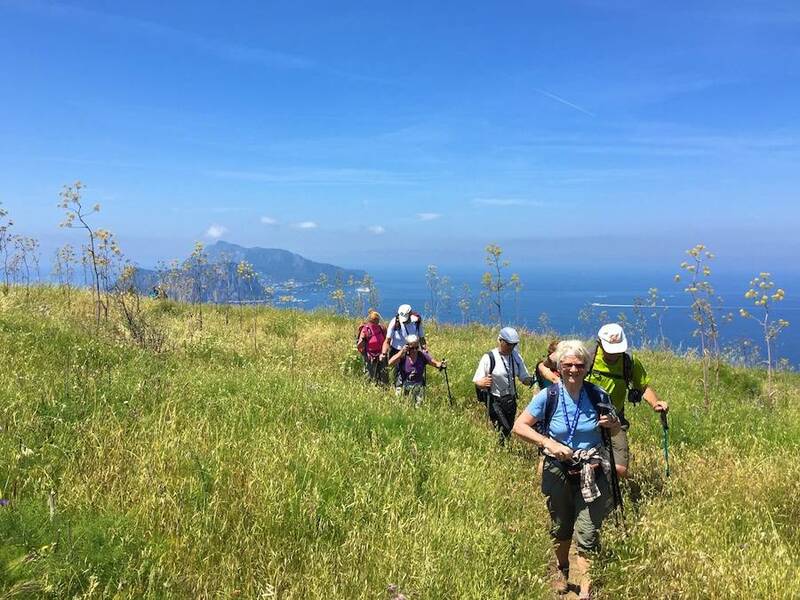 From the mountain top, walkers can make the return journey to Termini via an ancient mule track.